It is no exaggeration to say that software is now related to development of every new product such as electric appliance. The average development period in high-tech industries is about six months. Although delivery periods are short but, in order to respond to the recent fast move in the world, the latest software must be used. As a result, development has to be made on the assumption of using the latest OS or chips that will be released later. Since built-in software is combined with hardware, in such environments for development, development is first made with hardware. 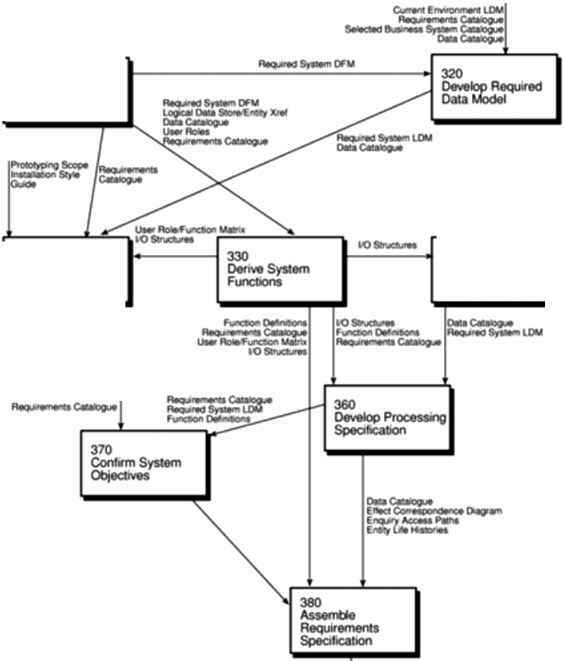 When development is started, the portion of software that depends on hardware is developed using software simulation, but when software is completed and the latest OS and chips are installed, the expected performance is often not demonstrated. In such cases, since hardware cannot be changed for solution, a direction to solve the issue by changing software will be suddenly issued, and as a result, the volume of software development becomes several times compared with the original plan. Since such phenomena will occur always in the latter part of projects, the will entail cost increase due to sudden personnel reinforcement or conspicuous influence on efficiency or quality, so that in some cases, products are recalled after released to the market. Few companies draw up such scenarios or countermeasures from the beginning but most companies plan a project imaging an optimistic scenario, so that in most cases, a problem occurs "suddenly" and a project falls into an extreme confusion. Further, such experiences have not been accumulated and used as knowledge in the company, not a few companies repeat confusion on each occasion. 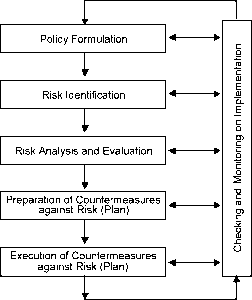 The core process of risk management starts with drafting a risk management basic plan for the project and is as shown in Figure 4-7-7 below.